Seagate - STT320000A SEAGATE - 10/20GB TRAVAN TR-5 IDE INTERNAL TAPE DRIVE (STT320000A). IN STOCK. SHIP SAME DAY. IBM - 37L5805 IBM - 10/20GB TRAVAN 5 IDE INTERNAL TAPE DRIVE (37L5805). REFURBISHED. IN STOCK. SHIP SAME DAY. IBM - 20L0549 IBM - 10/20GB TRAVAN-5 IDE INTERNAL TAPE DRIVE (20L0549). REFURBISHED. IN STOCK. SHIP SAME DAY. 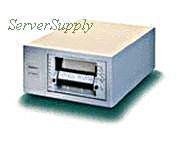 Seagate - STT320000N SEAGATE - 10/20GB TRAVAN SCSI INTERNAL TAPE DRIVE (STT320000N). IN STOCK. SAME DAY SHIPPING. Hewlett Packard - 245356-001 HP/COMPAQ - TRAVAN5 10/20GB TRAVAN IDE TAPE DRIVE (245356-001). IN STOCK. SAME DAY SHIPPING. 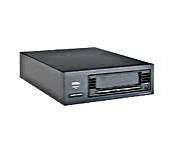 Quantum - TH4AA QUANTUM - 10/20GB SE-SCSI DLT2000 INTERNAL TAPE DRIVE (TH4AA). IN STOCK. SAME DAY SHIPPING. Hewlett Packard - 388737-005 HP/COMPAQ - 10/20GB TRAVAN IDE INTERNAL HH TAPE DRIVE (388737-005). IN STOCK. SAME DAY SHIPPING. Seagate - STT220000A SEAGATE - 10/20GB TRAVAN IDE INTERNAL HH TAPE DRIVE (STT220000A). IN STOCK. SHIP SAME DAY. Hewlett Packard - C4394A HP/COMPAQ - COLORADO T20I 10/20GB INTERNAL TRAVAN TAPE DRIVE (C4394A). IN STOCK. SAME DAY SHIPPING. 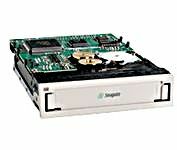 Seagate - STT220000N SEAGATE - 10/20GB TRAVAN SCSI INTERNAL TAPE DRIVE (STT220000N). IN STOCK. SHIP SAME DAY. Dell - 3D375 DELL - TRAVAN 10/20GB IDE PEARL INTERNAL TAPE DRIVE (3D375). IN STOCK. SHIP SAME DAY. Dell - 1D702 DELL - 10/20GB TRAVAN SCSI INTERNAL HH TAPE DRIVE (1D702). REFURBISHED. REFURBISHED. IN STOCK. SAME DAY SHIPMENT. IBM - 01K1319 IBM - TRAVAN 10/20GB TR5 SCSI INTERNAL TAPE DRIVE (01K1319). IN STOCK. SAME DAY SHIPPING. 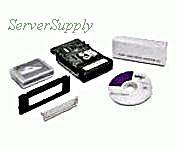 Dell - 1535D DELL - 10/20GB DAT SCSI INTERNAL TAPE DRIVE (1535D). IN STOCK. SAME DAY SHIPPING. 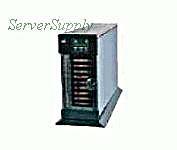 IBM - 3590-B1A IBM - 10/20GB MAGSTAR 3590 HIGH PERFORMANCE TAPE SUBSYSTEM (3590-B1A). IN STOCK. SHIP SAME DAY.